Good news! The four Sabbat preconstructed decks and Anthology I are reprinted and should be shipping by the end of March. 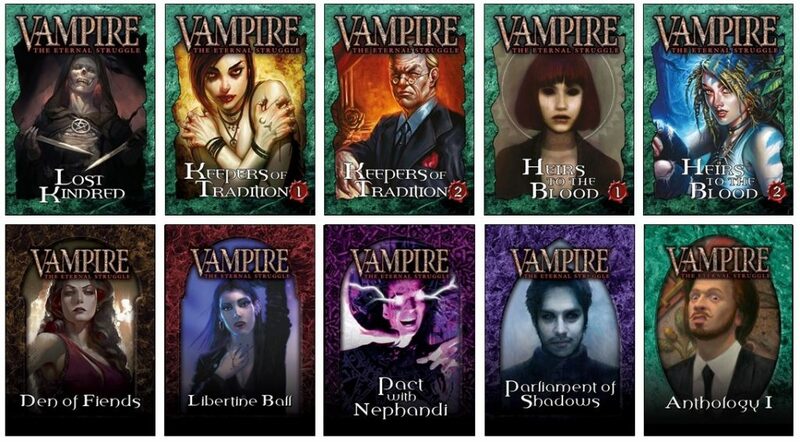 This means all our ten current Vampire: The Eternal Struggle products will be ready for your local game store to stock.